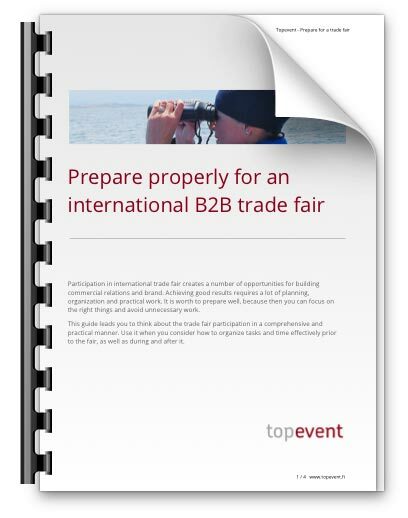 Positive differentiation in international trade fairs requires a professional approach both in the design and in the implementation phase. Regardless of your organization’s experience and know-how, you can benefit of the coaching, training and background support Topevent provides. 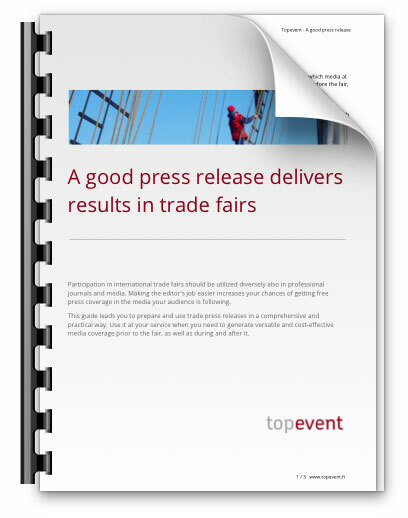 You may need a partner to spar your exhibition executive, or even a trainer that will help your team to meet the fair visitors in such a way that you can reach the desired objectives. The service is always tailored to your situation.